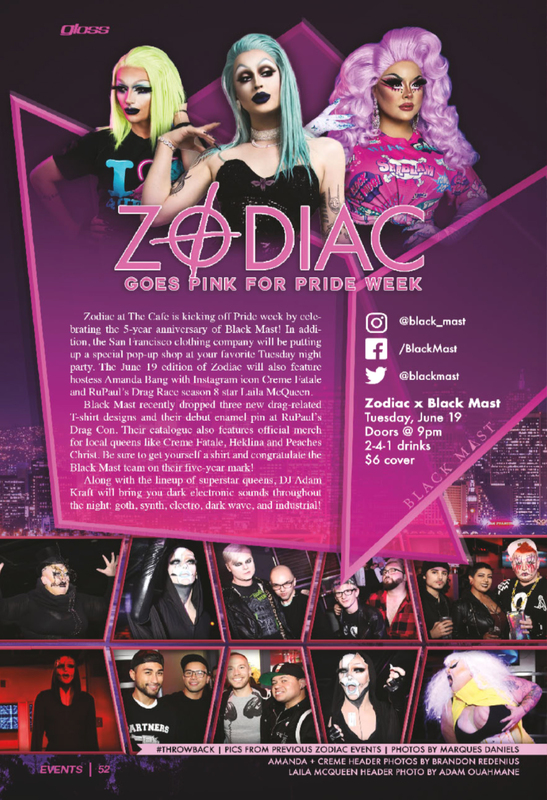 A staple of support in the San Francisco drag community, Black Masts work reflects the influences of performers around them and within the LGBT community. In the winter of early 2013, Black Mast was summoned from the depths of the Pacific Ocean off the coast of San Francisco. The ghost ship’s hulls were bursting with haunted treasures (t-shirts, art prints, and more). The Black Mast’s co-captains, Marie and Brandon, decided to spread their cursed treasures to the people. They provide boons inspired by subcultures, nightlife, the spooky and the macabre, drag queens, buccaneers, and don’t take themselves too seriously. These nautical apparitions provide spooky and sarcastic apparel for the enjoyment of all those seeking a break from the doldrums of mainstream society.